Genetic Engineering of Crop Plants is a proceeding of The 49th Nottingham Easter School in Agricultural Science, which was held at Sutton Bonington on April 17-21, 1989. This symposium discussed progress in the generation of crop species resistant to herbicides, viruses, and insects. 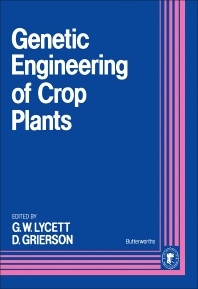 The book discusses topics such as the genetic manipulation in plants; genetic engineering of crops for insect and herbicide resistance; the expression of heat shock gene in transgenic plants; and tuber-specific gene expression. The book also covers topics such as regulation of gene expression in transgenic tomato plants; the molecular biology of pea seed development; and the regulatory elements of maize storage protein genes. The text is recommended for experts in the field of botany, agriculture, and genetics who would like to know more about the improvement of crop plants through genetics.